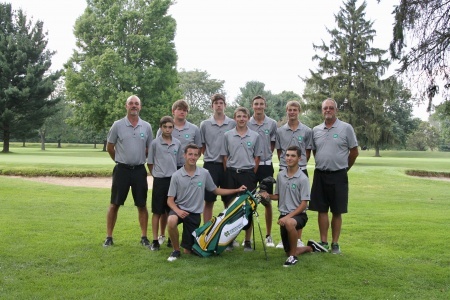 The 2014 team placed 8th in the State Tournament Finals. Other State Finals teams were in 2011 (5th), 2001 (4th) and 1998 (3rd). Lowest Round (146, +2): The all-time record of 146 was tied at St. Albans Golf Course in Alexandria on August 29, 2011. 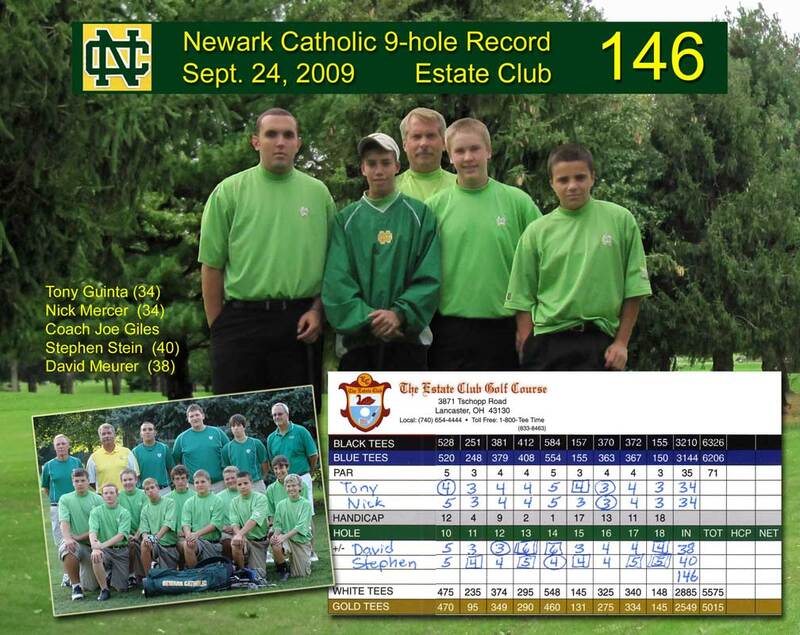 Scoring for NC that round were David Meurer (33), Sean Thomas (36), Nick Mercer (37), and Stephen Stein (40). 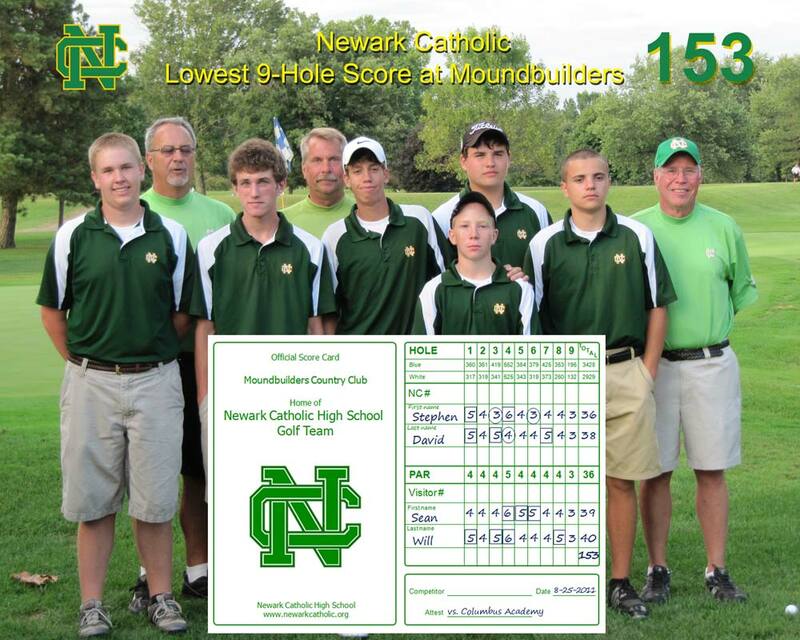 Lowest Round at Moundbuilders Country Club (153, +7): The all-time record at Newark Catholic’s home course at Moundbuilders in Newark was set on August 25, 2011. 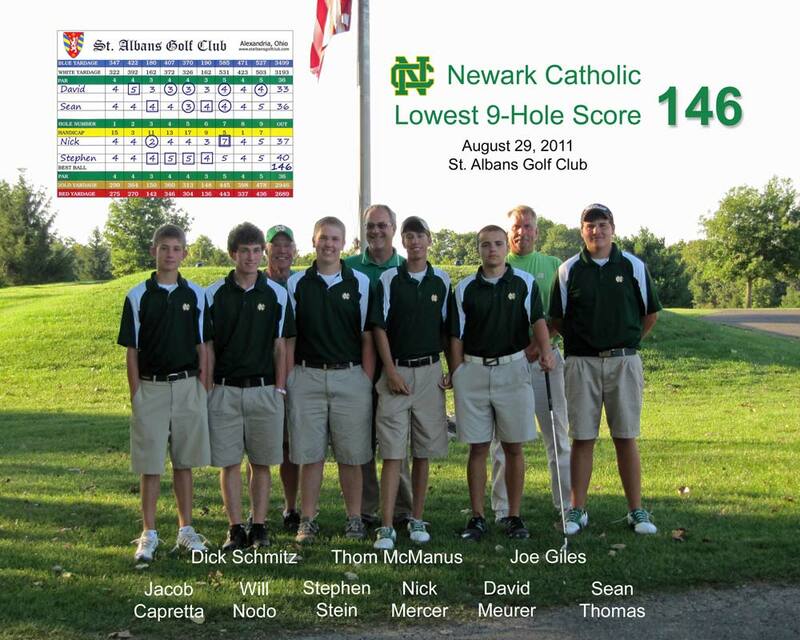 Scoring for NC that round were Stephen Stein (36), David Meurer (38), Sean Thomas (39), and Will Nodo (40). 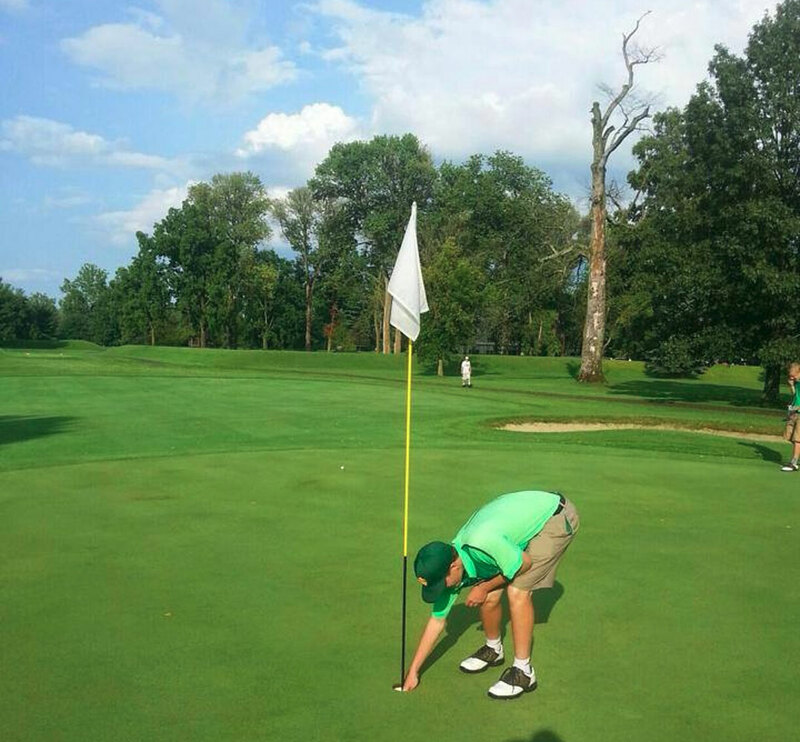 Hole-in-One, Moundbuilders #9: Billy Wollenburg recorded a hole-in-one on Aug 20, 2014 in a match against Newark. Watch our 2011 Team Video! Watch it here in our web page, or click the YouTube logo to have the option of viewing in Full Screen mode (recommended).